Our beautiful mother, Bertha Vick, passed away at the Beehive Homes of Hamilton on Sunday, January 20th, at the age of 90. She was born on November 3, 1928 in Vananda, Montana to German immigrants from Southern Russia. Mom was the youngest of 10 children born to Henry and Katherine Rudolph. Mom was raised on a dryland farm outside of Forsyth, Montana. She came from very humble beginnings where German was the primary language spoken in her home. Religion and music played a major role in the family. At an early age, Mom learned to play music by ear. She became the church organist in her teens. She always had a beautiful singing voice and her love of music continued throughout her life. Education was not available in Vananda, so from the age of six Mom stayed with a family in Forsyth during the week. She graduated in 1946 from Forsyth High School where she excelled in academics and track. In 1948, while in Forsyth, she met and married her husband of 59 years, Manford E. Vick. In 1950, Mom and Dad moved to Missoula. Together they raised three daughters, Terry, Marcia and Sheila. Mom was the office manager of Carpenter Paper Company for many years, retiring in 1981. After retirement, Mom enjoyed golfing, bowling, camping, outdoor adventures, plays, concerts and attending the grandchildren’s activities. After mom’s debilitating stroke in 2004 and Dad’s passing in 2006, mom moved to Grizzly Peak. 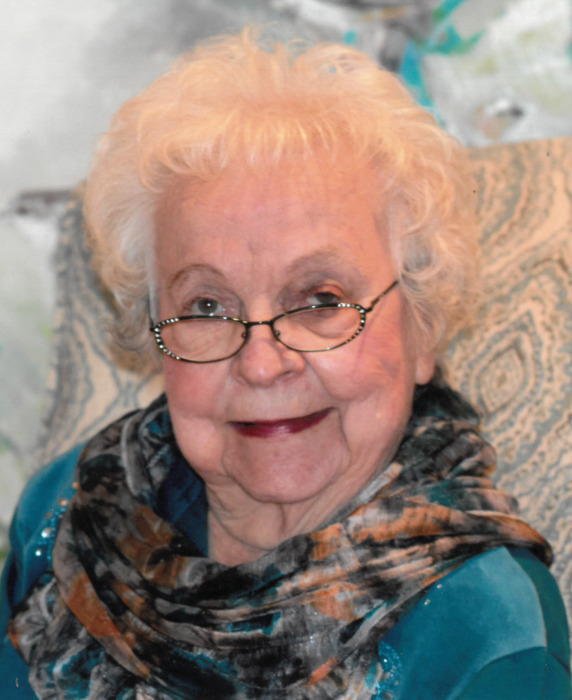 She spent ten wonderful years there where she enjoyed making many friends and attending all of the activities that were offered. In 2016, mom moved to the Beehive Homes of Hamilton. She was given tremendous care and love from her Beehive Family. Mom was preceded in death by her husband, infant son, parents and eight siblings. Survivors include daughters; Terry Vick (Ron VandeVen), Marcia Horton (Dale Jacobson), Sheila Beierle (Ron). Grandchildren; Shawn Horton, Shelley Beierle, Bryce Yasenak (Sandra), Traci Jolliffe (Randy), Breezy Reimers, Brandi Lennick (Justin) and Dustin Beierle (Kirby). Six Great Grandchildren; Baylee Jolliffe, Easton and Andrin Reimers, Mylo Beierle, River and Reese Lennick. One sister and numerous nieces eand nephews also survive her. Our family’s heartfelt thanks and gratitude to Beehive Homes of Hamilton for their loving care of our sweet mother. We would also like to thank Marcus Daly Hospice for their care during the past year. Services will be held Saturday, February 2nd at 10:00 AM at Daly-Leach Chapel in Hamilton. A reception will follow the service.